If you’ve been recommended to see an orthopedic doctor due to persistent knee pain, you may be unsure about what to expect. While some knee conditions can be improved through physical therapy and lifestyle adjustments, others demand surgical intervention. Arthroscopic knee surgery is a cutting-edge, minimally invasive approach to treatment—performed under the care of experienced doctors at surgery centers. Arthroscopic surgery is a procedure in which a small camera is inserted into the joint. This allows the surgeon to see into your knee for diagnosing the root cause of pain and performing corrective surgery. Instruments used to repair or remove compromised knee structures can also be inserted through a series of small incisions. This modern alternative to open surgery is preferred for a number of reasons; it has fewer risks, decreased pain and swelling, minimal scars, and a quicker recovery. Which conditions can it treat? This treatment can diagnose a broad range of knee injuries and conditions, including torn ligaments or cartilage, cyst removal, knee fractures, swollen joint linings, and arthritis. Not all causes of knee pain can be treated through arthroscopic surgery. 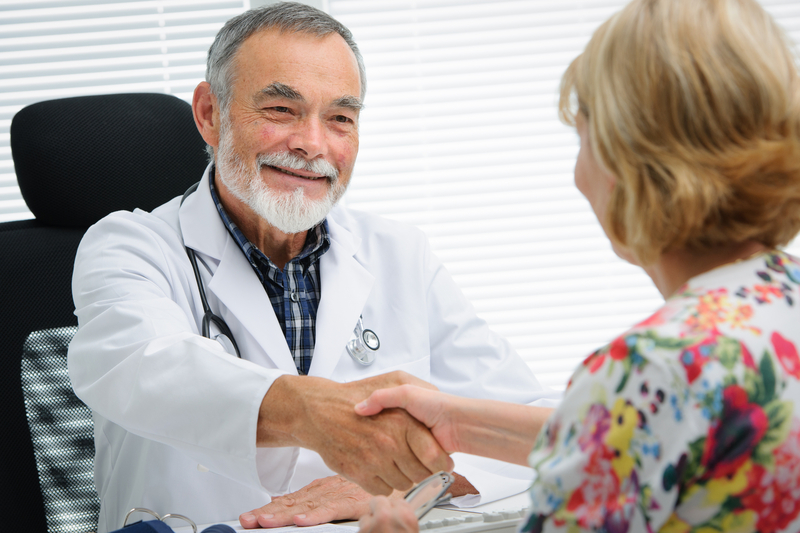 Your orthopedic doctor will review options with you to determine the best course of treatment for your condition. The team at your surgery center will administer anesthesia to ensure you don’t feel any part of the procedure. Then, the orthopedic surgeon will make two small incisions to insert the camera and instruments. To facilitate visibility, the joint will be injected with sterile fluid. The surgeon will then perform the procedure to repair the knee, which may take an hour or less, depending on the type of issue being treated. Recovery times depend on the severity of the knee issue, as well as the complexity of the procedure. Most likely, your surgeon will recommend partial weight-bearing with crutches after the surgery, followed by walking as tolerated a few days later. Elevation, ice, and anti-inflammatory medications can be used to alleviate pain and swelling. You’ll also visit your surgeon for a post-procedure follow-up to confirm the knee is healing properly. If you’re seeking an experienced team of doctors to perform your knee surgery, look no further than the orthopedic surgeons at Santiam Hospital. Serving the mid-Willamette Valley area in Oregon, the surgery center at this medical facility offers leading technology and a comfortable, welcoming environment for patients. Learn more about their services online, or call (503) 769-2175 to speak with someone from the hospital.